The Ethiopian Revenues and Customs Authority (ERCA) is to confiscate 13 Million dollars worth of equipment imported in late 2012 by the Chinese telecom company, Huwawi Technologies. The Equipment was allegedly imported in the name of ethiotelecom without the latter's knowledge. The measure came following successive investigation by the Ethiopian Shipping & Logistics Service Enterprise (ESLSE), Ethiopian Cargo (ET Cargo) and the House of People's Representatives (HPR). The investigation finally pointed out that the company had imported the equipment on behalf of ethiotelecom. The latter signed an 800M dollar telecom expansion deal three months ago with Huwawei. Huwawi imported a total of 235 items, which included energy storage units and various types of battries through the ESLSE, on Nov 19 and 20, 2012. These were described on the commercial invoice as for 'ethiotelecom network expansion project. On the other hand, other equipment, including microwave telecommunication products, with a gross wight of 11,334kg, were brought into the country through ET Cargo by the company on behalf of ethiotelecom, on Dec 8, 2012. The equipment has been stuck at ET Cargo and the Modjo Dry Port since late November 2012. This is about nine months before the company signed the deal with ethio telecom. The disclosure came as the ESLSE lost patience with ethio telecom for leaving what it elieved was its property for over two months at the dry port, leading to congestion. The Enterprise filed an appeal with the Transport Standing Committee at the HPR, which then appealed at the Science, Communication & Technology Affairs Standing Committee. The latter contacted ethio telecom at the end of the last fiscal year to request an explanation. When asked by the House, however, ethio telecom claimed that it has no property at the dry port. In a letter ethio telecom wrote to the ERCA last week, it stated that the properties do not belong to them, nor did they allow Huwawei to import the equipment. 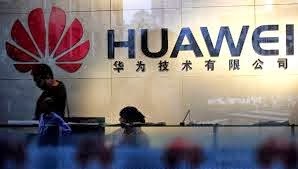 The state-owned telecom service provider signed at 1.6 billion dollar telecom service expansion project with Huawei and its Chinese rival, ZTE, on July 25 and August 18, 2013, respectively. Their specific assignments, however, are yet to be determined. Following ethiotelecom's letter, a second letter was dispatched, this time from the ERCA's head office, directed to the Customs Clearance Procedure Department of the branch office found inside ET Cargo. The Department, which is responsible for handling goods imported through the airline, was told to take the appropriate measure 'per the law'. "Discussion was held among officials here and the goods will be confiscated," an official at the Customer Service Directorate at the ERCA told Fortune, on condition of anonymity. A similar measure is to be taken at the dry port as well, Fortune has confirmed. The law says goods left at the port for more than two months should be confiscated. "They [Huawei] have been using our weakness and tolerance inappropriately," said Desalegn.